An attractive series of geography books that explores the relationship between people and their environment. Each book starts with a child's local, familiar surroundings before looking at the way people live in other parts of the world. Colourful photographs and cheerful illustrations complement the text, which investigates themes such as environmental change, sustainable development and population and planning. As well as being informative, the books encourage children to think and enquire about issues for themselves, with thought-provoking questions and practical activities to try out. The books are ideal starting points for further investigation. Tasks are set within the framework of the book and extension projects are suggested. This book will make children think about maps and how they can be used for other things apart from finding the way, like recording the weather, farming patterns and the position of stars in the sky. 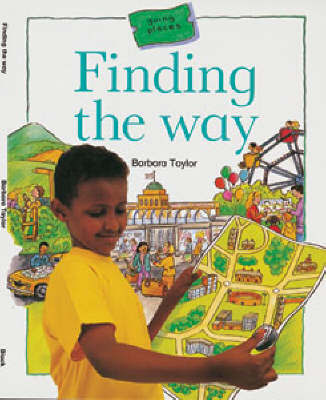 It helps children begin to draw their own maps and learn about map symbols and scale. It also encourages children to investigate the history of map-making and the use of aerial and satellite photographs.